It's finally time to get the kids outside to experience the wonders of nature and enjoy some family time outdoors! The following spots are well worth the drive, offer inexpensive ways to be outside and most offer picnicking areas so families can stop and breathe the fresh air. 1. Walkway over the Hudson— Poughkeepsie, Dutchess County. Thanks to public and private efforts, what was an abandoned railroad bridge is now the longest elevated pedestrian bridge in the world: 212 feet tall and 1.28 miles long. Bikes are allowed. The park offers interpretive signs and a Talkway Over the Walkway cell phone tour. Picnic tables and parking are at both approaches to the walkway. 3,000 acre wildlife habitat and recreation area just south of Wurtsboro. This was one of four forts built west of the Shawangunk Ridge. Almost 200 species of birds, 30 varieties of fish, and innumerable plants, reptiles, mammals, and insects, live in the area. While no picnic areas are set up, visitors can always bring folding chairs and find a scenic spot to have lunch, or tailgate in the parking lot. 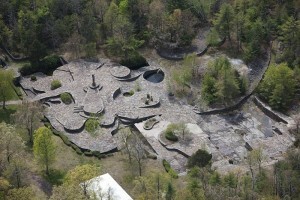 150-acre public garden featuring streams, waterfalls, terraces, retaining walls, rocks, and plants. Your family will not want to miss the fountain jet. There are also beautiful water sculptures and columnar ginkos. While enjoying a family picnic, you’ll be delighted to see the magnificent mist waterfalls, circular grotto and climbing hydrangea. There are plenty of picnic spots throughout the garden with wonderful views of the Hudson Valley. Constructed by one man, Opus 40 is made from millions of pieces of bluestone, laid by hand, creating a labyrinthine of finely fitted stone, swirling with ramps and terraces constructed around pools, trees and fountains, rising out of bedrock a half mile deep. Families can take a walk through, around, and over the stones, from the deepest recesses of its subterranean pathways (16 feet below ground) and up to the nine-ton monolith that is the center of the sculpture. Opus 40 is a masterpiece, blending artistry and landscape. There are subterranean passageways and easily accessible for kids. Hiking trails, art galleries and events throughout the summer offer a variety of activities. Picnicking on the grounds is welcome. Tables are available. Situated on the dramatic Shawangunk Mountain Ridge. 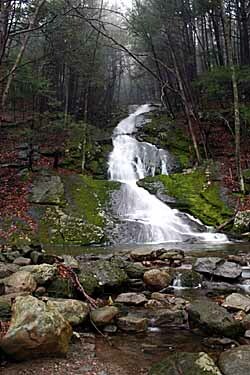 The park features numerous waterfalls, three crystalline sky lakes, dense hardwood forests, cliffs and ledges opening to beautiful views. Older kids and parents can enjoy world-class rock climbing and 35 miles of carriageways and 25 miles of footpaths for biking, walking and hiking. Visitors can also enjoy swimming, picnicking, scuba-diving and boating. Voted “Best Park for Nature” by Metroland in 2008, this living museum encompasses 450 acres of fields, forests and wetlands. The park offers various guided and self-guided tour options on 10 miles of nature trails. With 225 different species of birds, the park is a great place to bird watch and observe nature. The park has ample picnic space, a visitor center with exhibit rooms and bird-watching windows. The open landscape of Albany Pine Bush Preserve is filled with open prairies, sand dunes, shrubs and scatterings of pitch pines. Albany Pine Bush Preserves is one of only 20 remaining inland pitch pine scrub oak barrens left in the world. At this nature preserve, families can learn about nature through hands-on activities in the Discovery Center (where admission is always free). Families can also experience nature first hand as they bird-watch, hike, ski or horseback ride. No picnic is complete without watermelon! This garden of trees and shrubs was started by Fred Lape, a freelance writer. Lape aimed to grow every species of tree and shrub from temperate regions around the world in one area. Forty acres of the 548-acre site are heavily wooded; the remainder of the property consists of natural areas, woodlands, wetlands and trails. The arboretum has interpretive signage for families to study as they move about the garden. Don’t miss the old farm house and quarry gardens, which are favorite spots for visitors. This historical site is the former estate of the prominent Livingston family. The home itself can be toured, but the “must see” at the estate are the Four Gardens of Clermont: The Walled Garden, the South Spring Garden, the Upper Garden and the Wilderness Garden, which acts as a centerpiece with a reflecting pond. Families can stroll through the gardens then enjoy a great picnic nearby. Keep your kids sunburn free during your picnic! Families can discover nature across the six miles of cliff-face, woodlands and open fields of the Park. If you’re feeling sporty, your family can enjoy the volleyball courts, baseball fields and playground areas for the younger children. 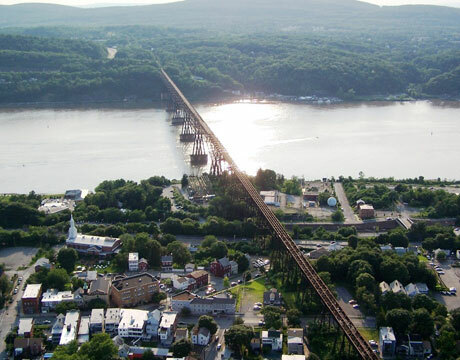 The Park also offers guided tours of the famous Indian Ladder Trail, which takes hikers through wooded areas and near rocky cliffs with the best views of the Hudson Valley.